It's been a 13-year journey for the actor and singer, but he's doing much better today. Nick Jonas was diagnosed with Type 1 diabetes 13 years ago, and he's sharing his struggle with the disease with his fans. In a post on Instagram, the singer showed side-by-side photos of himself from a few weeks after he was diagnosed to now. Jonas, 26, wrote about the throwback picture that he was "barely 100 pounds after having lost so much weight from my blood sugar being so high before going to the doctor where I would find out I was diabetic." Describing the recent photo he says, "On the right is me now. Happy and healthy." Type 1 diabetes, often referred to as juvenile diabetes, is a disease that occurs when the body's pancreas stops producing insulin, which regulates blood sugar levels. It is different from Type 2 diabetes, which makes up 95 percent of diabetes cases and is correlated with obesity. A Type 2 diabetes diagnosis can potentially be reversed through weight loss, but unfortunately there is no cure for Type 1. The good news is that you can learn how to live a happy and healthy life with the condition. "Prioritizing my physical health, working out and eating healthy and keeping my blood sugar in check. I have full control of my day to day with this disease, and I'm so grateful to my family and loved ones who have helped me every step of the way," the singer wrote. 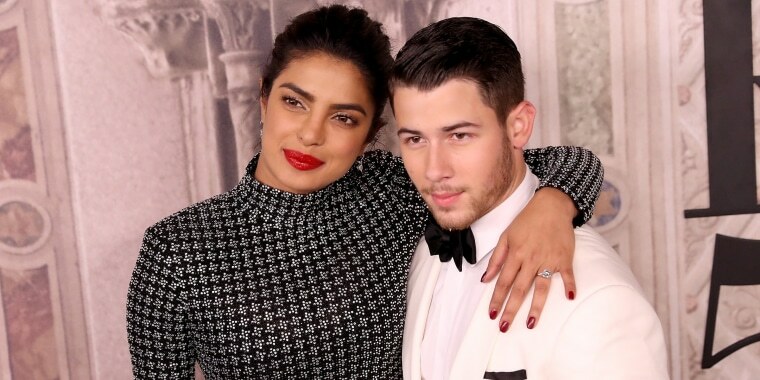 The actor's finacée, singer and actor Priyanka Chopra, 36, has been so supportive of him. "Everything about you is special. With or without diabetes," she commented on his post, adding a kiss emoji. The pair started dating this year and got engaged in July. They often comment on each other's social media posts, sending each other admiring messages. Jonas is a co-founder of Beyond Type 1, an organization that helps educate kids through social media on how to live life with the chronic disease. He's shown us that it is possible to turn what could be a scary diagnosis into an opportunity for self-advocacy and the chance to help others! 'Brave' Maeve Hollinger was diagnosed with type 1 diabetes at 18 months old.